HERTFORDSHIRE, England and PITTSBURGH, Sept. 29, 2017 /PRNewswire/ -- Mylan N.V. (NASDAQ, TASE: MYL) today announced the U.S. launch of Imatinib Mesylate Tablets, 100 mg and 400 mg, a generic version of Novartis's Gleevec® Tablets. Mylan received final approval from the U.S. Food and Drug Administration (FDA) for its Abbreviated New Drug Application (ANDA) for this product, which has multiple indications, including for several blood cancers. Imatinib Mesylate Tablets, 100 mg and 400 mg, had U.S. sales of approximately $1.7 billion for the 12 months ending July 31, 2017, according to QuintilesIMS. Mylan is one of the largest suppliers of cancer medicines by volume in the U.S., with a robust oncology portfolio of more than 40 products. To enhance access for eligible commercially insured patients, Mylan will offer a Savings Card for Imatinib Mesylate Tablets,* which will help reduce a patient's out-of-pocket costs. The card provides up to $700 off the monthly out-of-pocket costs for the product and is reusable up to 12 times per calendar year. Eligible patients can participate in Mylan's Savings Card for Imatinib Mesylate Tablets program by registering online at activatethecard.com/imatinib. Currently, Mylan has 227 ANDAs pending FDA approval, representing approximately $96.2 billion in annual brand sales, according to QuintilesIMS. Forty-five of these pending ANDAs are potential first-to-file opportunities, representing $45.5 billion in annual brand sales, for the 12 months ending July 31, 2017, according to QuintilesIMS. 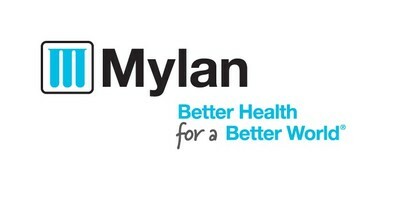 Currently, one out of every 13 prescriptions filled in the U.S. – brand-name or generic – is a Mylan product. *Eligibility restrictions apply. See Terms and Conditions. This offer is not valid for patients covered by Medicare, Medicaid or any other federal or state funded healthcare program or where prohibited by law. Mylan Pharmaceuticals reserves the right to amend or end this program at any time without notice.